A terrifying novel of suspense based on the Rhine parapsychology experiments at Duke UniversityAfter experiencing a precognitive dream that ends her engagement and changes her life forever, a young psychology professor from California decides to get a fresh start by taking a job at Duke University in North Carolina. She soon becomes obsessed with the files from the world-famous Rhine parapsychology lab experiments, which attempted to prove ESP really exists. Along with a handsome professor, she uncovers troubling cases, including one about a house supposedly haunted by a poltergeist, investigated by another research team in 1965. 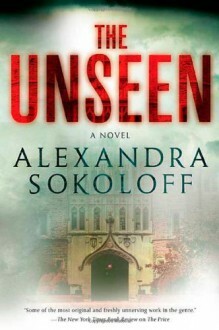 Unaware that the entire original team ended up insane or dead, the two professors and two exceptionally gifted Duke students move into the abandoned mansion to replicate the investigation, with horrifying results.The Unseen is Alexandra Sokoloff's most thrilling novel to date: a story of deception, attraction, and the unknown.